Nearly everywhere I looked, during my recent visit to the Rythu Bazaar, there were farm fresh, tender okra waiting to be picked. Bought half a kilo. I am very fond of North Indian stir fries. Earlier on I had blogged a sukhi (dry) sabzi recipe, Aloo Bhindi, that called for tomatoes. Yesterday, I prepared a slightly different version of Aloo Bhindi sans tomatoes. A nice change from the routine. I enjoyed the stir fry along with Palak Dal and rice. The spices melded beautifully with the potato and okra. Versatile recipe, you can use spices of your choice. Added a few curry leaves for that aromatic touch. 1 Heat oil in a vessel, add the asafoetida, coriander pwd, jeera pwd, turmeric pwd, red chilli pwd, saunf pwd and 2 tbsps of water and saute for 10-12 seconds. Add the curry leaves and chopped potato and salt. Cover with lid and cook on medium flame for 5 mts. 2 Add the okra and combine. Add the lemon juice and combine. Cook without lid for 5 mts. 3 Add garam masala pwd and mix well. Cook with lid and cook till the aloo and okra turn soft. 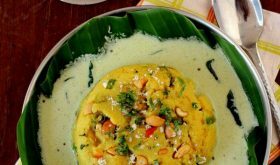 Serve hot with phulkas, or rice and dal. Fantastic recipe. I love dry / crispy Bhindi. In Northern India, where I stayed most, sukhee subjis are the order of the day as they go well with rotis. Love dry sabzis for chapathis… like this combination! sukhi bhaji of aloo and bhindi is new for me. i have tried and tested. it looks yummy. thanks for such a recipe. Thanks for yet another wonderful recipe. Whenever I try anything with bhindi, it takes so long to cook and the other ingredients get charred while bhindi is still being cooked. any tips for it please. 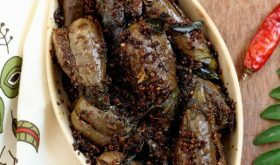 Use tender bhindi. If using onions, saute onions for just 2 mts and add the bhindi. Cook bhindi without lid till its half cooked and then add salt and place lid till it turns soft. Nice recipe. Can we use boiled potato cubes? Dal palak looks yummy. is it same recipe posted before? 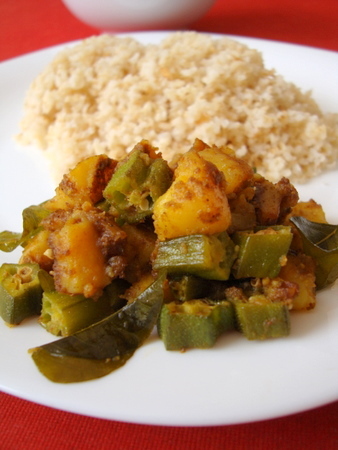 Yes, you can use boiled potato but add after okra is three fourth cooked. 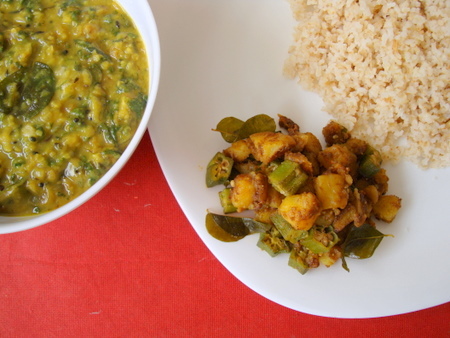 Dal palak is different recipe from the one I blogged earlier. i simply luv yr dishes. nostalgic memories r aroused. was living in hyd fr the past 20 yrs, hav recently shifted 2 deli. thanks. hi sailu ur blog is very very helpful to me. i recently married and came to US. 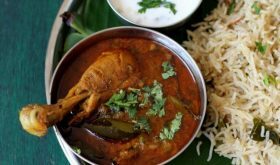 daily i am using ur blog and start cooking.most thankful to u.s mall request, can u plz post how to make mushroom curry and mushroom fry, anything like how we make in andhra style. thanks sailu garu. You’ve cooked all my favourite things here! hi sailu mam, how to prepare Mysore Pak? pls keep the recipe in the web site. i will be very grateful to you. Dal looks very nice, could u please post that recipe as well..? Happy Diwali (Deepavali). May this Diwali bring lot of happiness, joy, health and cheer into your life. May your family be showered with blessings of Goddess Lakshmi on this day of Festival of lights. Happy celebrations. Will be waiting for your festival blog. 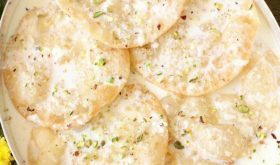 Sailu, it looks delicious & yummy …. Happy Diwali to u & ur family members. 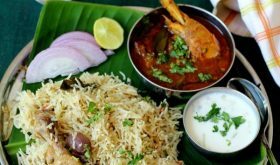 We r waiting for Diwali special dish …….